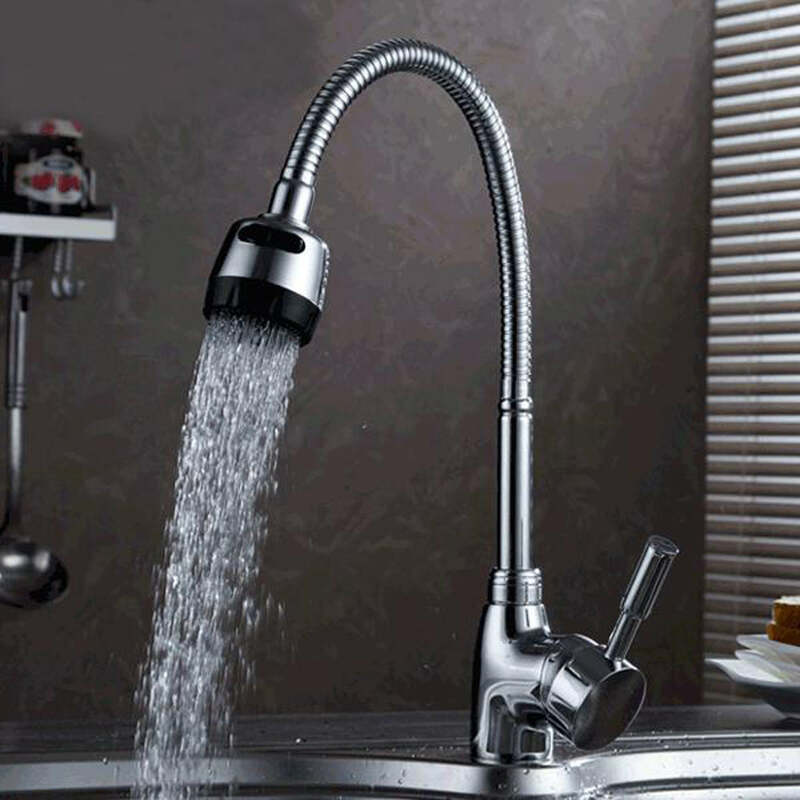 The Brass Kitchen Faucet, polish chrome plating, streamlined design, fashionable and stylish. All copper mounting nut base, more solid, do not shake. Equipped with water hoses and fittings.